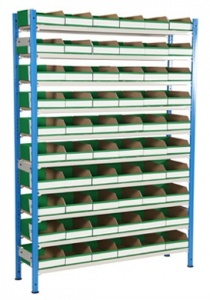 Keep your small parts and components fully organised with this practical picking bin shelf rack. This particular unit comes with 60 larger cardboard parts bins that sit perfectly on the 10 chipboard shelf levels. With 60 storage compartments to work with you can really stay on top of your inventory by segregating individual items into their own stock locations. 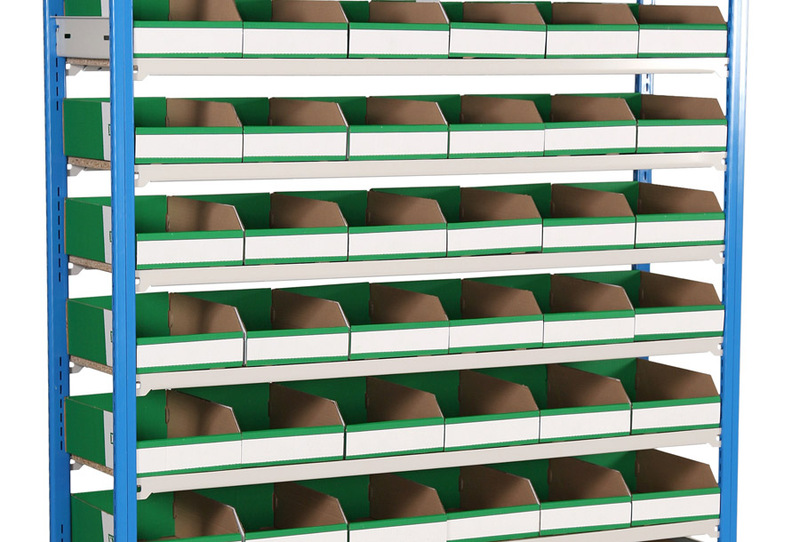 Using the blank cardboard front bin panels you can easily label your stock, helping users to quickly find the item they are looking for. 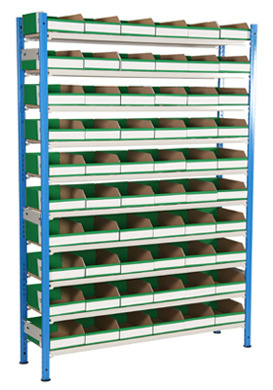 This storage shelving bay with picking bins can be purchased as a standalone starter bay or a cost-effective add-on which can be used to create connected runs of shelf picking storage.